Gregory Law Group, PLLC’s mission is to provide American taxpayers exceptional and results-oriented tax resolution services in an honest, ethical, and timely manner. Gregory Law Group, PLLC staff will take a genuine interest in our clients, understand their objectives, and maintain the highest levels of professional integrity. Unlike most tax resolution firms where you talk to a non-tax professional over the phone, Gregory Law Group, PLLC provides a FREE 1 hour consultation with a former IRS Attorney who will take a genuine interest in the special circumstances of your case and provide you guidance in resolving your IRS tax problems at the same or lower cost than other debt resolution firms. Our founder, Deborah Gregory, worked as a Senior Attorney for the IRS’ Office of Chief Counsel for over 12 years. Her experience as an IRS Senior Attorney has given her unique institutional knowledge of the IRS and she is able to utilize her knowledge in helping her clients. 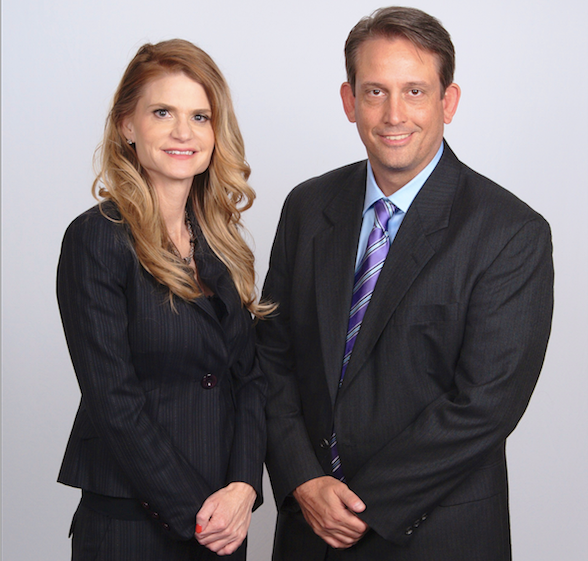 Mrs. Gregory is the managing member of Gregory Law Group, PLLC. Her background as a former IRS Attorney coupled with her tax law experience makes her uniquely qualified to help you resolve your IRS problems. Mrs. Gregory graduated with a JD from South Texas College of Law and has a Master of Law in Taxation from Boston University. Mrs. Gregory is a wife and mother of two boys. Our co-founder, Garrett Gregory, worked as a Senior Attorney for the IRS’ Office of Chief Counsel for over 12 years. Garrett began his career as an International Tax Associate at PricewaterhouseCoopers in San Jose, California. He then joined the IRS’ Office of Chief Counsel’s Office in Washington, DC where he worked in the National Office focusing on the international taxation of financial institutions and products. Garrett then transferred to the IRS Office of Chief Counsel’s Dallas field office where he handled individual and business audits. During this time Garrett served on the IRS’ International Field Counsel and was the subchapter S (S corporations) Industry Counsel. Garrett litigated several cases before the U.S. Tax Court and received favorable opinions in all cases. Garrett’s experience as an IRS Senior Attorney gives him both the substantive tax knowledge and a unique institutional perspective of the IRS that he utilizes to help his clients resolve their tax disputes. Garrett earned his Bachelor of Sciences degree from the Pennsylvania State University, his Doctor of Jurisprudence from the South Texas College of Law, and his Master of Laws in Taxation from Boston University. David Ronquillo, is an Enrolled Agent. David has over 30 years experience with the IRS and 25 years in IRS field Collection matters. His is well versed in the workings of the IRS, having started his career in 1980. David held a variety of positions with the IRS, including Revenue Officer, Offer-in-Compromise Specialist, Field Collection Group Manager, Toll-Free Branch Chief at the Austin Compliance Center, Austin Field Collection Territory Manager, and Senior Collection Policy Analyst for Employment Tax. He retired as the Territory Manager for the Property Appraisal and Liquidation program where he managed the national program for the selling of IRS seized property and Department of Justice real estate foreclosures. Over his 25-year Collection career, he has taken, managed and directed various complex and intricate enforcement actions to bring taxpayers into compliance. He authored Internal Revenue Service Procedures for Sale of Seized Property for the April-May 2012 Journal of Tax Practice and Procedure, published by CCH. David graduated with highest honors from California State University, Dominguez Hills, in 1976 with a Bachelor’s Degree in Public Administration. He received his Master’s of Arts Degree in Conflict Management and Negotiation from California State University in 2007. He is a U.S. Navy veteran serving from 1969 to 1975.